NYC, 04/27/2019, 2:00PM. The Birds (1963): Hitchcock At His Scariest. 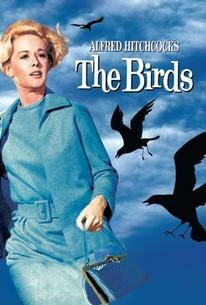 A young woman visits a seaside town, which is attacked by a terrifying force of nature in the form of birds gone wild. Starring: Rod Taylor, Jessica Tandy and Tippi Hedren. In 2016, The Birds was deemed "culturally, historically, or aesthetically significant" by the United States Library of Congress, and selected for preservation in its National Film Registry. The movie was nominated for an Academy Award for Best Special Effects.